Do you love tilapia? I do. But after reading yesterday’s New York Times article about unregulated tilapia farming, I’ll think twice before I order my next fillet. Last year, more than 52 million pounds of fresh tilapia were exported to the United States, mostly from Latin America, as well as 422 million more pounds of frozen tilapia, both whole and fillet, nearly all from China. It’s a booming industry, but it’s doing a lot of damage to the natural world, not to mention the survival of a species. 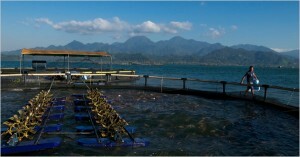 Environmentalists argue that intensive and unregulated tilapia farming is damaging ecosystems in developing countries with practices generally prohibited in the United States — like breeding huge numbers of fish in cages in natural lakes, where fish waste pollutes the water. The problem is especially severe in Nicaragua. 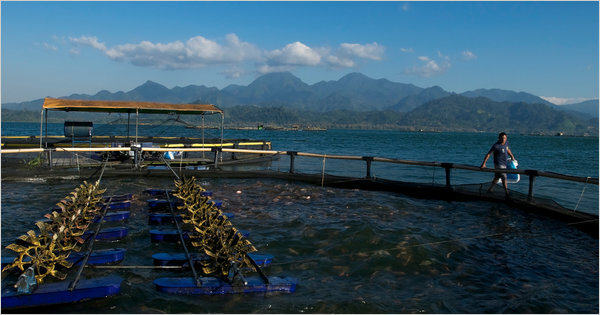 Fortunately, there are new sustainability standards being developed for aquaculture to protect the water sources that so many people in the developing world rely on.